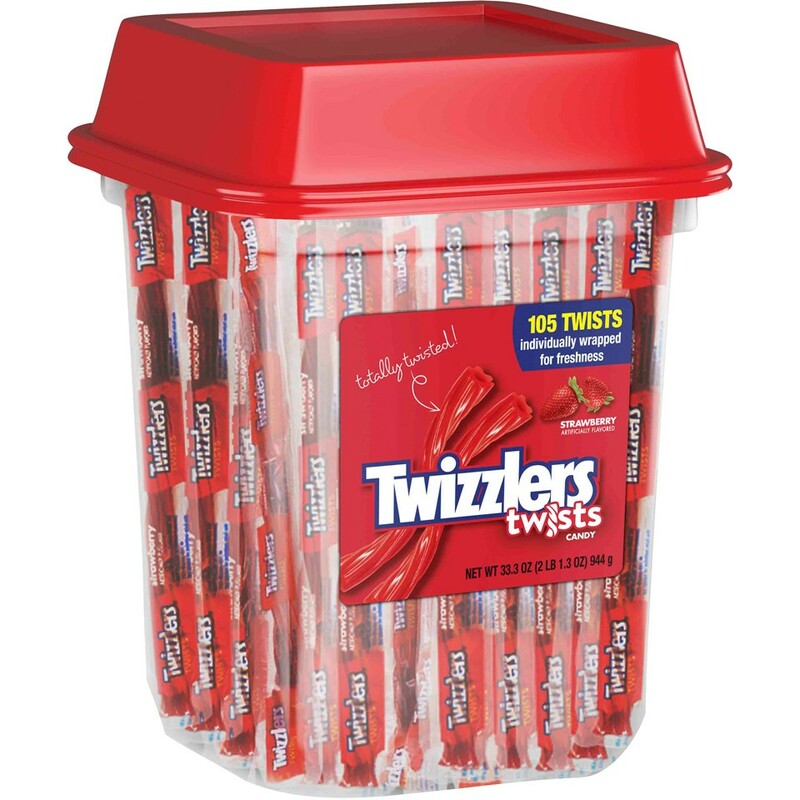 Individually Wrapped Twizzler Canister (105ct) from Hershey, the classic strawberry licorice twists individually wrapped and packed in a convenient, re-usable container. A perfect greeting for on top of the reception desk! Kosher Parve. Packaged candy comes 105 wrapped pieces per canister.